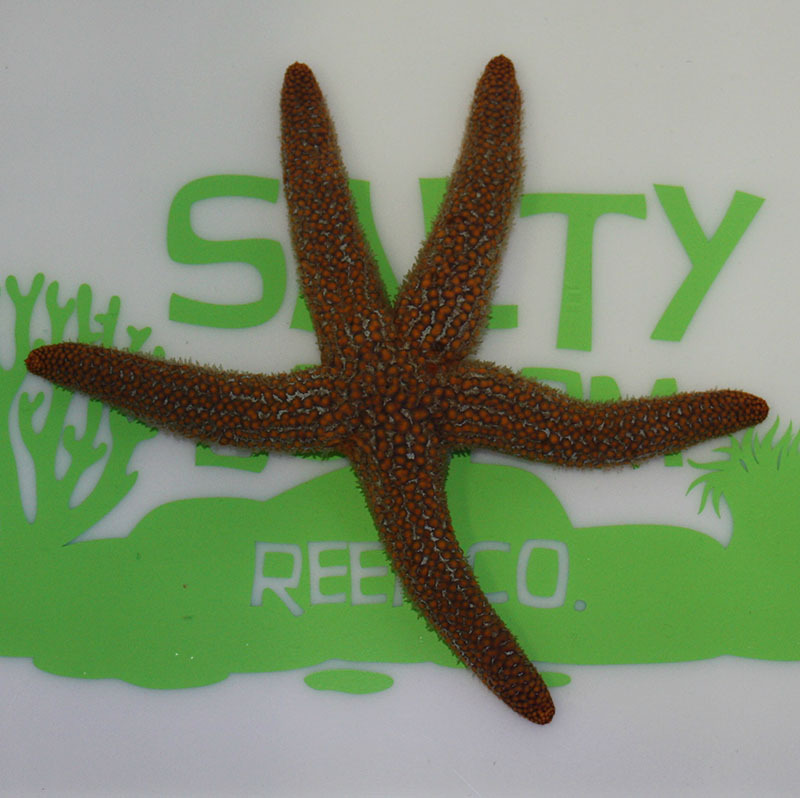 Notes: These sea stars have five long, slightly tapered, equal length arms with bluntly rounded tips. Their color varies from deep red to reddish brown or dark purple and they typically have orange to orange-brown spines with tufts of maroon to violet papulae (spiny projections). They inhabit intertidal areas with sand and rubble as well as seagrass beds, and hardbottom habitats. Q: how big are the ones you send out ?